As Article 50 is triggered, here's what you can do to stop Britain's slide to the hard right. Add your own suggestions in the comments. Whichever way you voted in the referendum, hard Brexit is not about fulfilling a democratic mandate to leave the European Union. It’s about Theresa May’s government using the process of leaving the EU to force through its hard-right Daily Mail agenda – at a high cost to the majority of people living in the United(ish) Kingdom. Here are ten ways you can resist, and we'd love to hear more from you in in the comments below. What Brexit will mean for those who moved to the UK from other European countries is still up in the air. But let’s remember that there are already huge numbers on the rough end of Britain’s increasingly brutal anti-migrant rhetoric. And as Brexit fails to transform Britain into the Land of Hope and Glory that Boris Johnson and UKIP's Nigel Farage promised, we can be pretty sure about who will get the brunt of the blame from the prime minister who, as Home Secretary, brought us the infamous racist van. 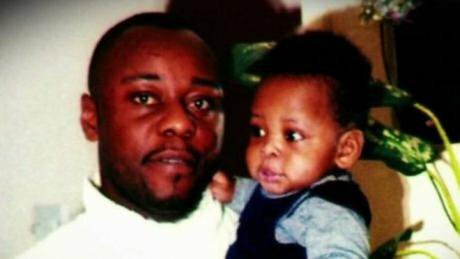 Long before Brexit, there was the tale of Jimmy Mubenga, a 46 year old father of five, who was suffocated to death by the G4S security guards on his deportation flight. Right now, there’s people like Manchester’s Abbey Kyuyene, who faces being deported to Uganda, where he can expect to be imprisoned for the rest of his life because he’s gay. There’s the child locked up for five months alongside a convicted child abuser simply because he came here from somewhere else. And there’s the hundreds of people we imprison indefinitely just because they want to live here. There are the families Britain breaks apart because Theresa May believes they aren’t rich enough for love. There’s the horrific conditions we expect many of those seeking asylum in the UK to live in and there’s the people freezing in refugee camps just across the Channel. There are the workers who suffer exploitation rather than risk their paperless status being exposed and there are the families still dying in the Mediterranean as they attempt to make it to European soils. All of these situations were bad before Brexit. All of them risk becoming worse as the government and its cheerleaders in the press cast around for someone to blame for the fact that Brexit will fail to give people any more sense of control over their lives. All across the country, there are migrant solidarity groups organising to stop their neighbours being deported, demanding the closure of detention centres and providing a range of kinds of practical solidarity. As hard-right Brexit accelerates, they will need more people, more help and more support. Powerful people like to scapegoat migrants because they believe they can be divided from their communities most easily. Organising those communities to fight back is the best way to scare them off. There’s Glasgow’s Unity Centre, Liverpool and Manchester migrant solidarity, No Borders, Calais Migrant Solidarity, the campaign to close Yarls’ Wood, Lesbians and Gays Support the Migrants, Stop Funding Hate, Student Action for Refugees, the People & Planet Undoing Borders campaign… and many, many more people organising to support migrants here in the UK. Work out what’s going on near you, ask how you can help, and get involved – whether you speak another language, have research or legal skills, or can phone an airline to help stop a deportation, there are lots of thing we could all be doing to help our neighbours. One of the most terrifying potential ramifications of Brexit is a Trump-May UK/US Trade deal. And a UK/China trade deal… and… I could go on. While the European Union’s Common Agricultural Policy has vast problems, American agribusiness will be very keen to ensure that what replaces it is nothing like the careful environmental protections that eco-Brexiters like Paul Kingsnorth will have been hoping for. With vast corporations desperate to prise open British markets after decades of EU subsidy and protection, one of the most predictable consequences of Brexit is Britain’s countryside becoming the latest item shed in Westminster’s accelerating asset striptease. One of the most predictable consequences of Brexit is Britain’s countryside becoming the latest item shed in Westminster’s accelerating asset striptease. And the fire-sale of the English countryside will only be one item in such a negotiation. Expect US health insurance companies, with their famous lobbying heft, to try desperately to bury both mandibles into what’s left of the NHS. 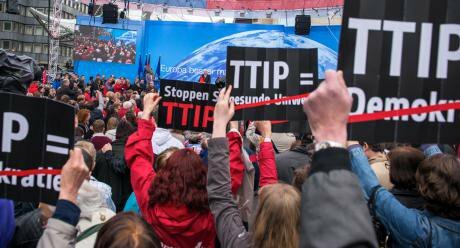 Expect all of the worst bits of the EU/US Trade Deal to be regurgitated back onto the table. Expect the return of some version of the ‘Investor State Dispute Mechanism’ corporate courts, which have been used to ban regulations designed to protect us from cancer or workplace accidents because they damage company profits. And expect people to organise against them. Global Justice Now and War on Want have so far led the fight in the UK, working with partners across the world and winning astounding victories along the way. Of them, the former is probably easier to get involved with, as it has groups across the country. You can join here. 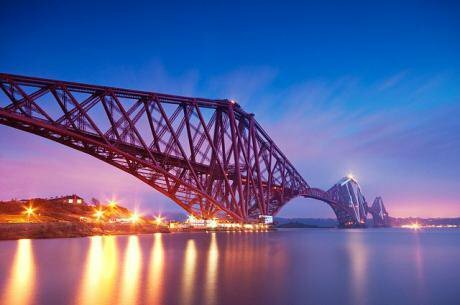 Forth Bridge, George Gastin, Wikimedia Commons. The Conservative party made very clear before the referendum that they expected to keep the UK as a whole in the single market. As such, May doesn’t really have any mandate for her hard Brexit. But the situation north of the Tweed is worse: Scotland voted by 62% to remain in the EU, and yet people here face being dragged out against their will. May hasn’t even been willing to consider any of the potential ‘special deal’ options proposed by the SNP, Labour and Lib Dems in recent months, along lines I once called a ‘Reverse Greenland’. The only democratic way to resolve the constitutional conflict between the result of the 2014 independence vote, the 2016 result, and the situation Theresa May insists on dragging Scotland into is another independence referendum. Last night, a majority of members of the Scottish parliament voted to hold such a referendum. For Westminster to block it would be a democratic outrage. And yet that is what Theresa May seems to be proposing to do. Pressure from outside Scotland will be key if Scots are to be allowed to vote on their constitutional future once more. If Scotland faces a democratic deficit, the North of Ireland faces disaster. Like Scotland, people in Northern Ireland voted to Remain in the EU. Unlike Scotland, there are significant reasons why Brexit will be a particular problem for people there. The imposition of passport and customs controls along the border between the North and the Republic will cause real economic harm. It will provide another opportunity to return to the old days of sectarian discrimination. The chances that border posts will become a target for violence, which could then escalate, are not trivial. The chances that border posts will become a target for violence, which could then escalate, are not trivial. And it’s not just the border. The EU and its human rights laws provide the framework for the Good Friday Agreement which has brought two decades of relative peace, and gave a constitutional framework in which people could be either Irish or British in both identity and citizenship, and live side by side without violence. So far, the British establishment has got away with treating Northern Ireland with disdainful disinterest. In the run up to the European referendum, their unique case was largely ignored by politicians and the media. In the run up to their recent election, no one paid any attention. It’s only with the death of Martin McGuinness and the collapse of negotiations this week that the media has started to take note. 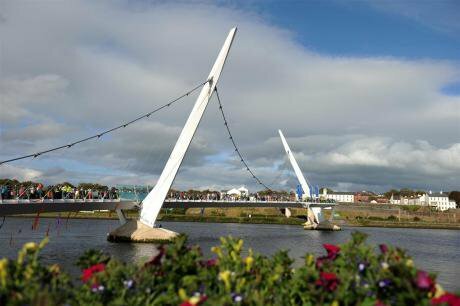 What should happen in Northern Ireland? It’s too easy for those not from there to propose simple solutions: a united Ireland is certainly tempting, and may be the solution, but that’s as contentious a question as ever. Certainly, we need to make sure that the British government realises that there are people outside of Ireland who care about it. And so, again, a simple place to start may be writing to your MP and demanding at the very least that they do all they can to prevent a hard border. You might even want to include points about both Scotland and Northern Ireland together. Leaving the EU means leaving behind inter-state collaboration on one of the defining issues of our time: climate change. And that means grassroots action will be more important than ever. 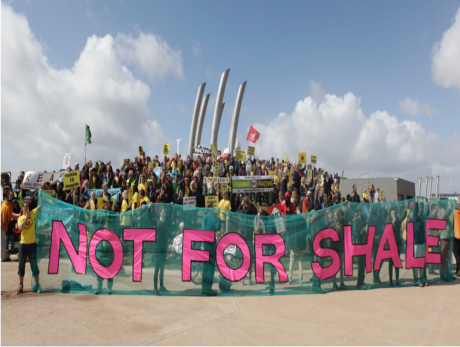 Fortunately, the good folks at Reclaim the Power (whose name long predates the similar sounding Brexit slogan ‘take back control’) are organising a wave of direct action against the fossil fuel industry, and offer you the chance to get your hands dirty in the fight against the fossil fuel industry. They tell you how to get involved here. For people of colour, racism is a lived experience and, well, you don't need some white guy telling you what to do about that. But for those of us who aren't from racialised groups, we're going to have to up our game. There has already been a surge in reports of hate speech and worse since Brexit, and we all need to play our part in stopping it. 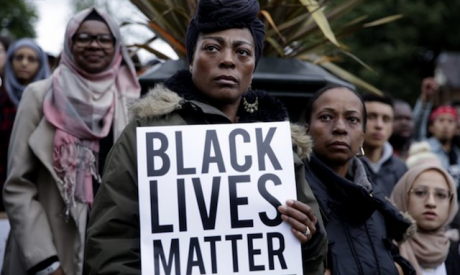 Check out groups like Black Lives Matter UK and see what you can do to help, and stand up to the racism which surrounds us all, whether that's a quiet conversation with an uncle or confronting fascists in the street. Caricature of Cecil John Rhodes,Punch Magazine, public domain. 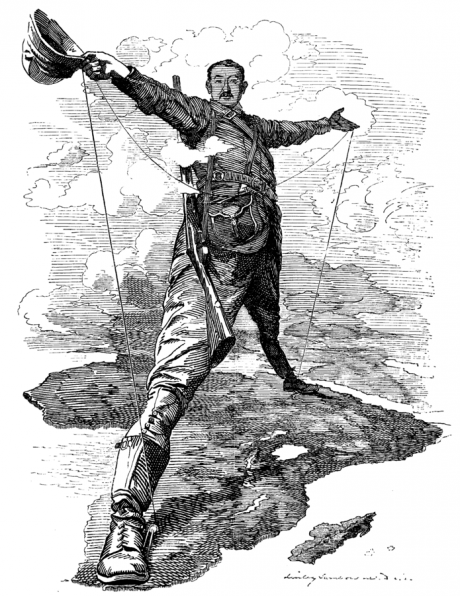 It often feels like a lot of this couldn't have happened if Britain had ever come to terms with its colonial history. British imperialists really weren't the cheerful engineers, kindly building railways for people in far off lands that our culture keeps trying to tell us about. It was all a lot more blood and torture-filled than that. And there is a whole lot more that most of us could be doing to learn about what really went on, and how it is Britain really got rich in the first place. Brexit is also likely to mean a significant attack on rights at work. But, while the EU certainly helped drag Britain forward, it’s not international treaties which created the real pressure for workers’ rights in the first place: it was workers themselves organising for basic safety standards, weekends, paid holidays, sick pay and decent wages. Without the EU, we’re going to have to get good at that. 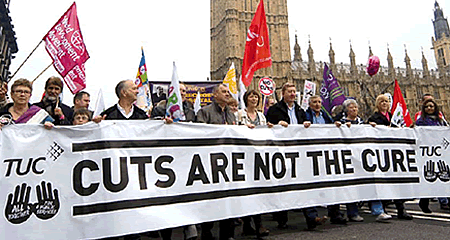 Check out the TUC website and work out which one is for you. If, like millions of people, you’re already a member but aren’t involved, then get in touch with your union and find out what you could be doing. Fewer and fewer people are paying for the news they read, watch and listen to. This means that journalism is more and more dependent on ‘native’ advertising and the patronage of vested interests, blurring the lines between editorial decisions and business or political ones. We can’t fix our politics without mending our media. And that means paying for it. You can set up a regular subscription to openDemocracy here – but whatever media you read and value, support it. 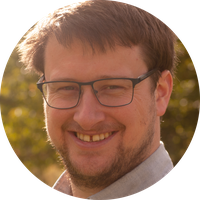 openDemocracy is proud to be a media partner for a major national convention on Brexit, where we will have the conversations that have been largely absent from parliament and the media. 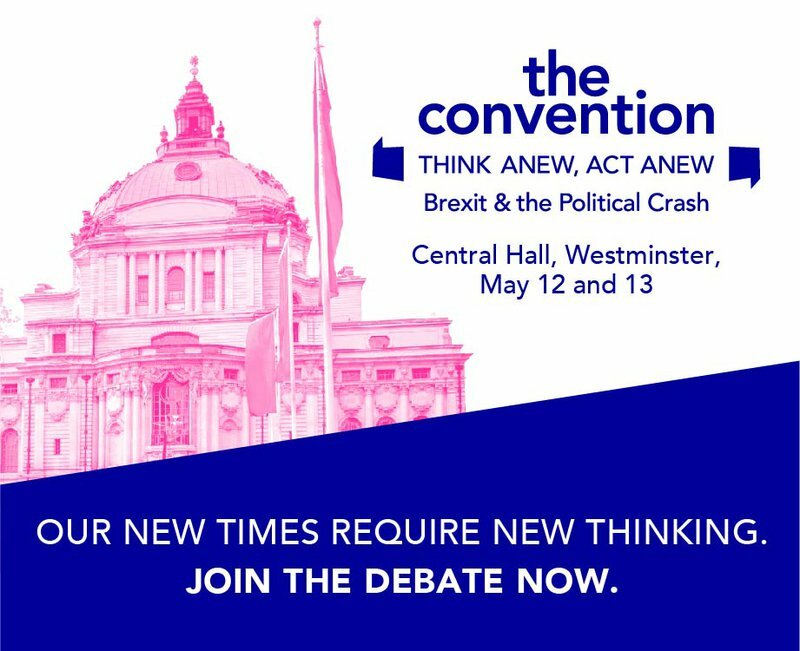 It’s happening on 12 and 13 May in central London and will be the first large-scale event to offer organisations and individuals the chance to take part in crucial debates about the United Kingdom’s future, the wider changes that are sweeping western democracies and to debate and strategise together about what to do next.